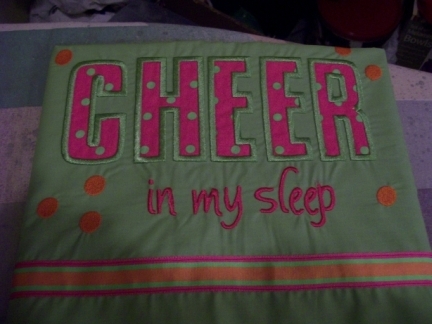 For that special girl who can't get enough cheering, this appliqued pillowcase tells it all! White pillowcase will be appliqued in a fabric that coordinates with your choice of team colors or match her room decor. Add name below text, if you wish! A complimenting ribbon is applied along hem.